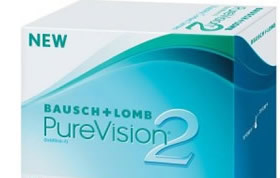 Or $2.38 per contact lens (x6 per box). Or $6.17 per contact lens (x6 per box). Or $7.51 per contact lens (x6 per box). Or $0.36 per contact lens (x90 per box). Or $0.50 per contact lens (x90 per box). Or $0.59 per contact lens (x30 per box). 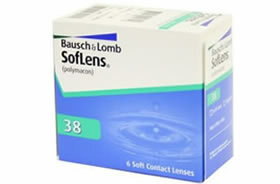 Or $5.24 per contact lens (x6 per box). 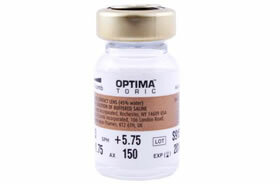 Or $4.54 per contact lens (x6 per box). 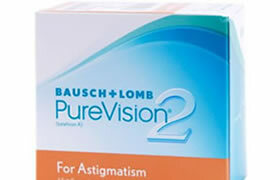 Or $20.00 per contact lens (x2 per box). 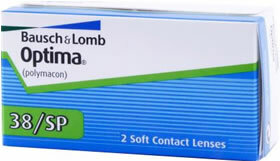 Or $4.53 per contact lens (x6 per box). Or $0.67 per contact lens (x30 per box). Or $7.36 per contact lens (x6 per box). Or $6.52 per contact lens (x6 per box). Or $7.07 per contact lens (x6 per box). Or $92.64 per contact lens (x1 per box). 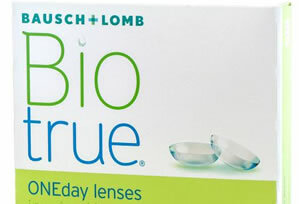 When it’s time buy contact lenses, one of the first names that comes to most people’s minds is Bausch & Lomb. This name is synonymous with quality and a tradition of excellence in healthcare. 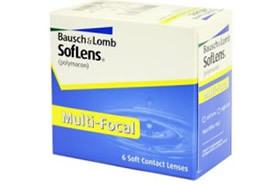 Bauch & Lomb is well known for its extensive line of contact lenses. From the Optima 38 / SP to Soflens 38 or Soflens 59 models, the company is known for the diversity of options it presents contact lens wearers. 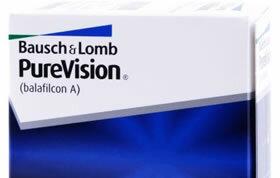 The latest additions to the company’s product line are PureVision contact lenses. These lenses are equipped with a unique silicone hydrogel material called AerGel that is designed to make the contact lenses more comfortable and deliver exceptional clarity in vision. 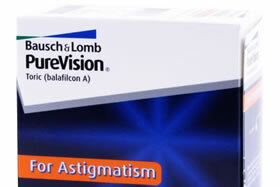 Its aspheric optical design significantly reduces the spherical aberration that causes objects to appear blurred or hazy. You can also use the lenses continuously for up to a month before replacing them. 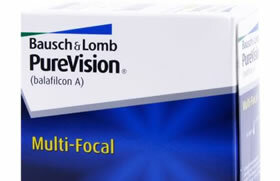 Bausch & Lomb also offers PureVision Toric and PureVision Mutli-focal for those who suffer from astigmatism and presbyopia, respectively. The SofLens line features High Definition Optics that give you crisp, clear vision despite challenging environments. The ComfortMoist Technology also guarantees that the lens will remain moist and comfortable all day long. 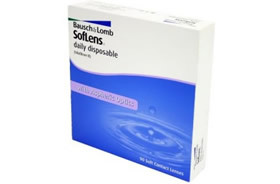 SofLens daily disposable contacts make sure that there’s no need for cleaning and storing. The easy-to-use soft, blister packs, visibility tint and inversion indicator makes it easier for you to handle the lenses too. 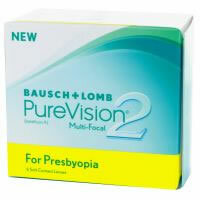 Bausch & Lomb offers this design to meet a number of specialized demands, as well. 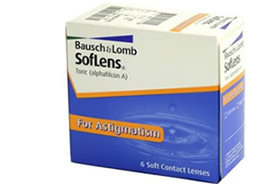 SofLens 66 Toric and SofLens Multi-focal lenses are for people with astigmatism and presbyopia. Whether you need to buy Optima Toric contact lenses or any of the other models crafted by Bausch & Lomb, you’re in the right place. At PriceContactLenses.com, it is our business to make finding discount contact lenses easier for you. We offer a price comparison service that enables our visitors to quickly find the lowest prices on discount contact lenses. 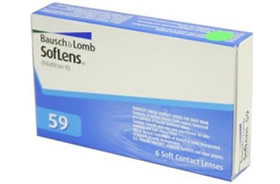 There’s no reason to order contact lenses that cost more when PriceContactLenses.com can help you find the lowest pricing on Bausch & Lomb contact lenses in any style.